Radamel Falcao grabbed a brace as French champions Monaco bounced back from last week's thrashing by Nice with a 3-0 win over Strasbourg at the Stade Louis II on Saturday. The hosts started slowly, but took the lead on the stroke of half-time through Rony Lopes' first goal for the club. Falcao made the points safe early in the second period, before completing his double in the 67th minute. "Falcao is a great player, a great professional with an always positive attitude," Monaco coach Leonardo Jardim said. "A year and a half ago, 80 percent of people thought it was over (for him). Today he is at a high level." 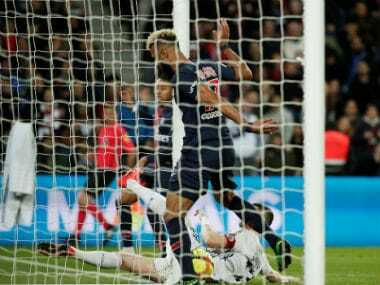 The three points move Monaco level on points with early Ligue 1 leaders Paris Saint-Germain, who host Lyon on Sunday. Monaco were looking to respond after seeing their record 16-match winning run in the league ended by a 4-0 thumping at Nice last week. The principality outfit have actually had a better start to this season than 12 months ago, when they also lost 4-0 at Nice in September before going on to win the title. 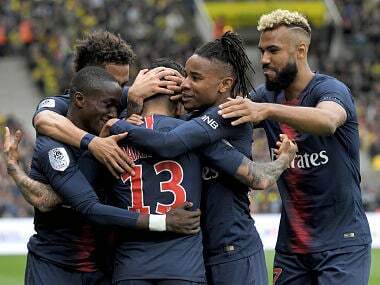 "It's true (we've had a better start), but it's difficult to compare with other seasons," Jardim added. 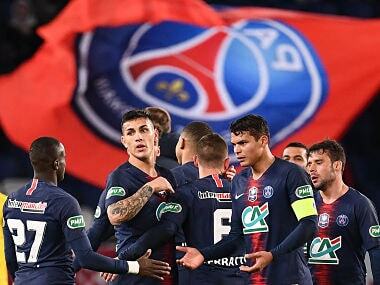 Jardim gave Montenegrin forward Stevan Jovetic and winger Rachid Ghezzal their full debuts after close-season moves from Inter Milan and Lyon respectively, in the only two changes from the side that claimed a 1-1 draw at RB Leipzig in their Champions League opener on Wednesday. But promoted Strasbourg more than held their own for the first half an hour, and almost took the lead when Ivorian midfielder Jean-Eudes Aholou headed over from only three yards out. The hosts were a shadow of the side that stormed to last season's title and started this campaign with four straight wins, but they broke the shackles in the 44th minute. Ghezzal's ball over the top picked out an intelligent run from Falcao, who squared for Lopes to prod the ball in at the back post. The hosts didn't have to wait long to score a second, as captain Falcao grabbed his league-leading eighth goal of the campaign six minutes into the second half. Full-back Jorge's low cross left the Colombian with the simple task of diverting the ball home. Falcao wasn't done there though, as he capitalised on Strasbourg captain Kader Mangane's terrible mistake before lashing into the corner. 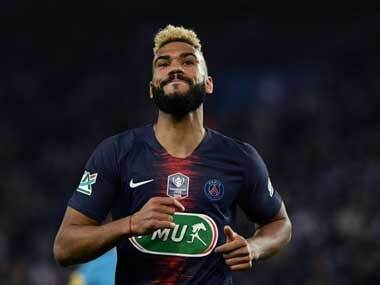 The 31-year-old has now scored two or more goals three times already in Ligue 1 this season. Saint-Etienne moved up to third as Jonathan Bamba's third goal of the season from the penalty spot saw them edge out lowly Dijon 1-0. Nantes continued their good form under Claudio Ranieri, as they beat Caen 1-0 to make it four games unbeaten without conceding a goal. It hasn't all been plain sailing for new coaches though, as Marcelo Bielsa's Lille saw their winless streak extended to five games by Etienne Didot's injury-time goal in a 1-0 loss at Guingamp. On Friday, Brazilian Malcolm's third goal of the campaign helped Bordeaux stay unbeaten with a 1-0 victory at Toulouse.